Sammy Clingan snatched maximum points deep into injury time after a late fight back. 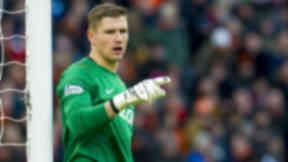 Gary Locke claimed victory in his first game since being named Kilmarnock caretaker boss as they claimed a dramatic 3-2 win which ended Dundee United's unbeaten run of seven games. United opened the scoring thanks to an early penalty from Nadir Ciftci before Josh Magennis equalised for the home side. The visitors were back in front when Henri Anier opened his account for the club but Killie levelled again through Chris Johnston in the second half. And it was the Ayrshire side who were celebrating at the end when Sammy Clingan snatched maximum points deep into injury time. 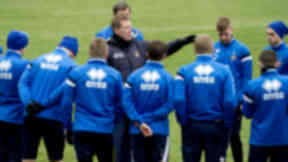 Locke was placed in interim charge until the end of the season following the departure of Allan Johnston, which was partly down to Robbie Muirhead's deadline day move to United. For this game, Muirhead had to settle for a place on the bench against his former club. Paul Dixon made his second debut for United, while new Killie signing Nathan Eccleston was named among the substitutes at Rugby Park. Killie endured the worst possible start to the game when they fell behind after just three minutes. Alexei Eremenko was judged to have fouled John Rankin in the box and Ciftci stepped up to dispatch the spot-kick into the bottom corner. The home side refused to be discouraged and were back on level terms seven minutes later. Eremenko's free-kick was knocked into the path of Magennis and his effort was allowed to trundle over the line, beating goalkeeper Radoslaw Cierzniak. But, in an action-packed opening spell, United edged in front again with 14 minutes on the clock. Chris Erskine released Anier through on goal and he kept his cool to lash home his first goal for the club from just inside the box. United could have been further ahead when a cross from the left from Dixon almost found its way into the back of the net and was cleared off the line by Chris Chantler. Anier and Ryan Dow both attempted to follow up but their efforts were blocked before the danger was eventually cleared by the home defence. At the other end, a back post header from Magennis was begging to be tapped home in front of goal but there were no takers from the home side. Killie were out of the traps quickly after the break and Cierzniak was called into action to block a Magennis header shortly after the restart. And they were back on level terms again after 52 minutes when Tope Obadeyi picked out Johnston in front of goal. Johnston unleashed a drive that initially appeared to be blocked by Cierzniak, only for the ball to slip under the goalkeeper and over the line. Just when it looked like the points would be shared, Clingan grabbed the winner in injury-time with a superb free-kick from just outside the box.